This content is brought to you by LG. The opinions expressed in this story may not reflect the positions of PhoneArena. These are interesting times for the mobile industry. Not only because it's developing at an extremely rapid pace, but also because we're seeing some very cool and innovative products on the market, made possible by the latest breakthrough engineering technologies. 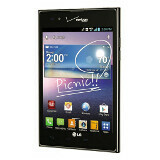 One such example is the LG Intuition™ available on Verizon Wireless. 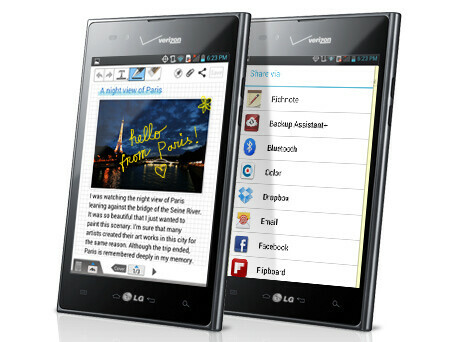 The LG Intuition™ is a very powerful handset with a large, 5” screen, which allows it to offer tablet-like functionality. The QuickMemo™ feature, for example, allows the customer to quickly capture a screenshot, add a handwritten note to it (either by using the stylus or a finger), and easily share or post it on popular social networks like Facebook, Twitter or Google+. The note-taking experience is further enhanced by the LG Intuition™'s unique 4:3 aspect ratio. This form-factor also makes the Intuition™ a wonderful device to browse the web or enjoy digital magazines. Indeed, this is an interesting time for the mobile industry. It is the time of large-screened devices like the powerful LG Intuition™, which pack the capabilities of a tablet, in the size of a smartphone. Learn more about the LG Intuition here! The Intuition™'s QuickMemo™ feature lets you quickly capture a screenshot, jot down a note and share it with friends"
except its not a tablet its just a really ugly cell phone or a phablet. Took the words straight out of my mouth. I've had my intuition for six days now and freaking love it. I went from the iPhone 4S to this. The first thing everyone does when I show it to them is say "Oh sh!t" and then they put it up to their face like they're talking on it. Then once they mess around with it, they want one. I've been wanting the Galaxy Note since it came out, but Verizon never had it, until this month when the Note 2 arrives. But, I honestly love the shape of the intuition better. It's more of a mini tablet shape, and it does more than enough for what I need it for. If you don't have the extra $$$ to shell out for a Note and you want something big, then this is a great device. It's fast, so far reliable, great call quality, and an amazing screen. I will say that there is hardly any accessories for it as far as cases go. I did buy a gel case that works fine, but online you can only find basically one or two styles of cases. The stylus not having a holder built in the phone is no big deal at all. You can do the same thing with your finger if the stylus isn't available. Also, the quick memo is a really cool feature. I have to agree with you there man. I wasnt a fan of samsung shrinking the bezel on the new note compared to the original. I dont like that its just a stretched out s3 now. The intuitions design is pretty cool. The intuitions design is pretty Cool... LMAO I just saw that POS in person for the 1st time at Best Buy about 3 days Ago. it says 5" are they measuring that in width? LoL the design is literally the Worst feature of it BY FAR. That thing is a wreck if you Want a 5" from Verizon get the HTC Dna it DOMINATES The intuition. Not a pretty phone thats for sure. Oh, and one more thing. The battery last pretty much all day for me with facebook, email, internet use and talking. If you charge it with the charger that comes with the phone, it takes a little over an hour to charge. One question, why in the hell is there an editorial about this phone now? It's not new phone of the week or anything of the sort, it's bloody wide for a phone and in the DNA review they complained that phone would make it hard on your pocket, I can't see thing brick faring any better at all. Slow day PA? It's ok we all have those once in a while. Your review of the DNA has solidified my choice, I will get that and if it's up to par I will keep it if not I will toss it back and get the Razr HD instead. Have you read the beginning of the article? "This content is brought to you by LG. The opinions expressed in this story may not reflect the positions of PhoneArena." Complain about facts? I like your style, make no sense. Since when did PA start running articles that give you zero information about anything? This is supposed to be an advert? Wow, just wow. Looking for some place else to read up on phones, as if all these damn ads all over the place weren't enough, they are now added to the main reading section as articles...really? That's not the issue, it's not even labeled as an advert. Look at it on the front page, it's listed as if it's a bloody editorial. I have my flash turned off and I still get a bunch of ads every time I come to this site. That incredibly nuts SGS3 advert that covers the entire background is the most annoying, then there are the pop ups. Hence why my flash is off, don't need the annoyance especially with the ads that use audio. You're right. They should've at least indicated that this was a sponsored article, ad, or whatever you wanna call it. However, you shouldn't really complain about the ads especially if you're not paying for PA's service. 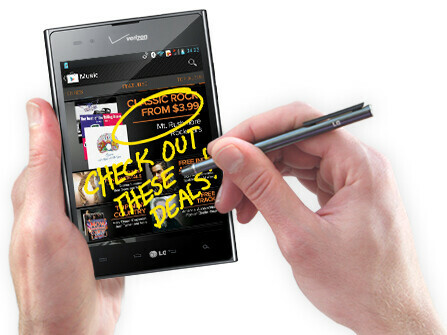 They offer, more often than not, great reviews on latest mobile tech for free. There is not cost to you from them in any direct way. Let them make some money. If not, just go to some other review sites. They are a dime a dozen. Also, your original comment did not say anything about this being an ad. So, I think you side tracked a little with your response.
. Need a direct test (analysis in detail) comparison between this and the Galaxy Note 2. Just off the top of my head, I'd think I like the Note 2 better, but I am open for comparison data. BUT, some how I doubt that will ever happen on PA now that they have started taking paid ads in the form of articles, such as this one. Sad, really. .
optimus vu 2 is way better. more compact with micro SD slot. release that LG now.